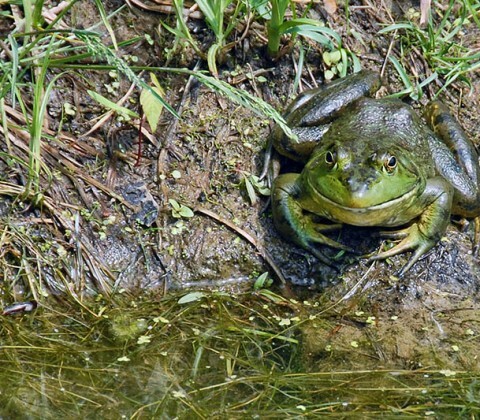 The American Bullfrog, often simply known as the Bullfrog in the United States, is an aquatic frog, a member of the family Ranidae, or “true frogs”, native to much of North America. Its habitat is of larger, permanent water bodies, swamps, ponds, lakes, where it is usually found along the water’s edge. 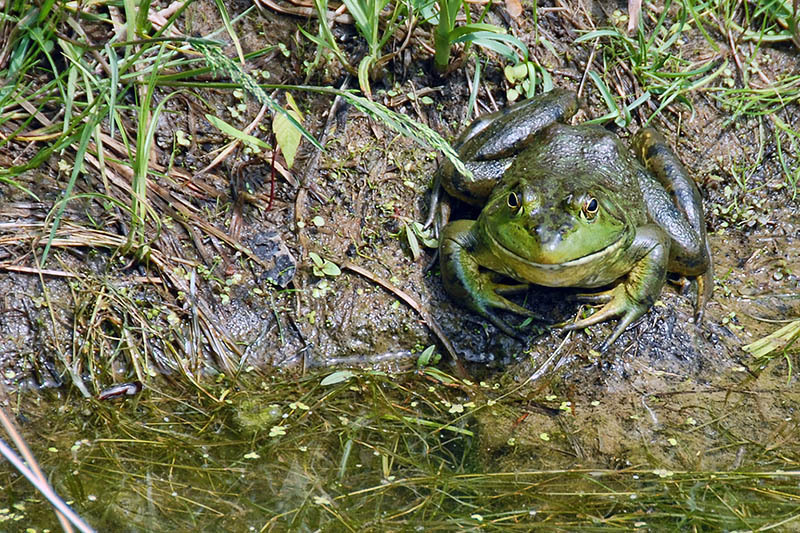 On rainy nights, bullfrogs go overland and may be seen in numbers on country roads.